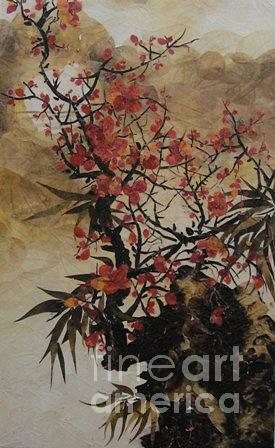 Winter Flower is a painting by Tran Thu Thuy which was uploaded on January 14th, 2010. 50.000 x 80.000 x 2.000 cm. Winter flower is only bloom in the Tet holiday of Vietnamese. Vietnamese think when it blooms that the Spring Queen is comming and bring health, happiness, success, lucky and many good things to them.